Times are fundamentally changed. Hierarchical management according the Taylorian model is outdated. Companies can no longer survive by going on with what they've always done. There is a great need to answer the question how it should go on with our companies and industries. This book offers such an answer. 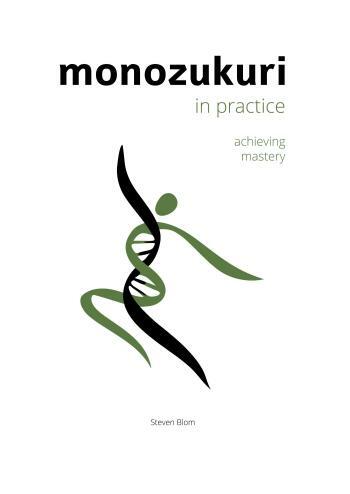 It goes deep into the Monozukuri philosophy and explains how people in production and management, can achieve mastery. It covers a wide range of topics, ranging from Motivation 3.0 and inspiring leadership to creating the right improvement-culture and the finer points of daily management. For who wants to go deeper, the book contains chapters about spirituality and management and zen and management. This book offers a view on a system of values and standards so that you will see work, motivation, leadership, production and profit in a completely different perspective. It is a very concrete and understandable method which in Japan has been tried and successfully applied.